This small 4-star hotel is on the marketplace in the historic quarter center and offers stylish guest rooms, an elegant French restaurant and lovely terrace. Enjoy free Wi-Fi. 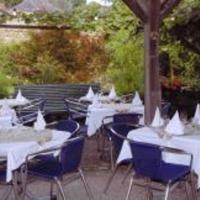 Hostellerie de la Basilique provides a romantic base in the heart of Echternach. Relax in the hotel’s bright interior with soft colors and characteristic details. You can start each day with a wholesome free breakfast buffet and decide what to do next. The lovely outside terrace is on the charming square and offers a lovely place to sit outside when the weather's nice. On colder days, the attractive lounge is a comfortable setting for sipping a cup of tea or glass of wine. The French restaurant serves delicious cuisine for dinner, while the brasserie offers light alternatives in an intimate atmosphere. Have a workout in the fitness room; make free use of the Wi-Fi access; or rent a mountain bike to explore the surroundings. This hotel is situated right in the center of Echternach at end of the pedestrian zone which starts in the market place. The hotel is near the famous cultural sites, the Basilica, the 'Denzelt', the Abbey - and not far from recreational centers as well as a lake and park. There is a nice terrace in the pedestrian zone in the summer months. The extremely comfortable rooms are of a high standard and the food, which can be chosen from the menu or served as a set menu, will attract you as much by its creativity as its delicacy. Le Pavillon guarantees a warm welcome, excellent food, discrete service, high-quality rooms and a convivial and cozy atmosphere. Just across the river from Germany and the stunning Deutsch-Luxemburgischer Nature Park, this charming hotel offers functional rooms and genuine hospitality. Ideally located in a quite neighbourhood in the centre of town, Hotel des Ardennes is the perfect place to relax after a day of exploring. Enjoy a work out in the fitness then unwind in the steam bath and solarium. Both international and regional specialities are served in the cosy restaurant. The hotel’s proximity to such a beautiful stretch of nature guarantees days of cycling and walking pleasure. With the main E29 highway just around the corner, day trips to Luxembourg are effortless. The hotel welcomes motorcyclists and can provide free on-site parking for bikes. Eden au Lac is situated in the Mullethal in Luxembourg and offers extensive leisure facilities including a spa. It overlooks Echternach Lake and features free WiFi in the public areas. The rooms at this hotel come with a minibar, TV and a work desk. Each room also features a seating area and is provided with a robe and slippers. Some of the rooms feature picturesque countryside views. Eden features connecting indoor and outdoor swimming pools. Guests can make use of the sauna, steam room and fitness centre. The hotel also includes on-site tennis and squash courts, bicycle rental and more. Restaurant Le Présidence benefits from panoramic views and French cuisine. Le Jardin d’Epices offers International cuisine and buffet evenings. The pool bar serves cocktails. Located in the heart of a rural and mountainous environment, the 4-star Aux Vieux Moulin offers a grounds area and terrace where you can enjoy the beautiful landscape. A breakfast buffets is served in the morning and for dinner you can enjoy the tasty cuisine in the culinary restaurant. Many sightseeing trips can be arranged to various destinations such as Petite Suisse and the historic village of Echternach. Close to the hotel you can also see the stream which used to activate the watermill. The historic quarter of Echternach is worth visiting, as is the Lac d’Echternach et la Sûre. At the lake you can practice a variety of water activities. Le Petit Poete is located in the center of historic Echternach, a small town on the banks of the Sûre river. The hotel has a large outdoor terrace with beautiful views. The rooms have a private bathroom and a view of the central square. 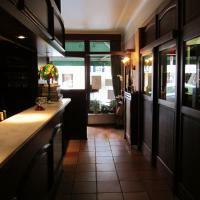 Le petite Poete’s restaurant offers French cuisine and serves various meat and fish dishes. The hotel provides easy access to restaurants, shops and public parking. Echternach borders Germany, making a day trip abroad possible. Hotel De La Sure is situated close to a park next to the Sure River. Take a walk here among the chestnut trees and regain your energy with the tasty dishes in the restaurant. The hotel has comfortable rooms with a bathroom and satellite TV. The rooms are allergy-free. Rooms are available for disabled guests. The Argentinian steak restaurant serves various dishes from the grill. Additionally, you can taste creative local specialties from the area. The modern hotel bar is an excellent place to sit down and enjoy a refreshing beer or a juicy cocktail. There is a terrace so you can sit outside in sunny weather. Free Wi-Fi is available in all public areas of the hotel. This castle hotel is in a tranquil woodland area with views of the Sauer Valley. Bel Air is 1.5 miles from Echternach in the Mullerthal and has recreational facilities. All of the rooms at the Bel Air Hotel include cable TV, free Wi-Fi, a minibar and work desk. Some of the rooms have a balcony. The Bel Air castle is a 5 minute drive from the German border and the medieval town of Echternach which has sights including the Basilica of St. Willibrord. The city of Luxembourg is a 35 minute drive away. Guests can use the indoor swimming pool with spa bathtub or relax in the steam room and sauna. The hotel also has a tennis court, solarium and fitness center. The hotel restaurant serves gourmet cuisine with French and German influences made with fresh, local ingredients. The restaurant terrace features panoramic views of the landscaped grounds. Postillon is only a 10-minute walk from the center of Echternach in the Mullerthal region next to the German border. It offers sound-proofed rooms and a daily buffet breakfast. Le Postillon offers simply-furnished rooms with a cable TV and a table and chairs. Each room includes a private bathroom. Some of the rooms have free Wi-Fi access. Luxembourg, which includes sights such as the Notre Dame Cathedral and the National Museum of Art and History, is 30 minutes away by car. Vianden Castle is a 35-minute drive from the hotel. The La Grappe d’or restaurant at Le Postillon serves regional cuisine and has original features including wooden beams and a stone wall. Guests can also enjoy dining outside on the intimate terrace. This hostel is set in a futuristic building neighbouring Lake Echternach. It features shared dormitories with free Wi-Fi and a fully equipped sports centre including a 14 metres high climbing wall. The dormitories at Youth Hostel Echternach each have their own bathroom facilities. They have bunk beds and guests can store their luggage in the cabinets. Facilities for disabled guests are also available. Breakfast is available in the morning. At the end of a busy day, they can relax and have a drink or snack in the hostel’s cafetaria. Eternach centre city is less 2 km away from the hostel. The Deutsch-Luxemburgischer Naturpark is 8 km away.